@Vitaliy They are different cameras for sure :) already owning a gh2 has been great, the creative flexibility of the form factor has meant that I can take the gh2 almost anywhere and put some really interesting glass on the front to get some beautiful images (made even better with your hard work and the community here) now as the gh3 comes over the horizon, I am looking to see what else I can use this collection of glass on.. to get better depth to the images, loosing the banding and highlight issues would make me happy and increased options for slo mo. I am just someone interested in images, rather than a moviemaker I realise moving images probably means I am a moviemaker but my output would probably be considered "art" (or just "visually confussing" for those used to a convetional narrative). The BMCC and the GH3 have interesting aspects to them that I might consider them as a step forward from the gh2, and at this time the BMCC is making it difficult for me to just pick up a gh3. Well, I guess I am now a toad on the Aussie freeway since I asked for this just a few hours ago (as many have before). Kudos to BMC for thinking of us fractional types. Too bad that it's passive MFT. I think, with time it won't be passive. But it is hard task to make electonic mount like m43. As for lenses. m43 version allow to use same adapters you already have for m43 cameras, with all your lenses. 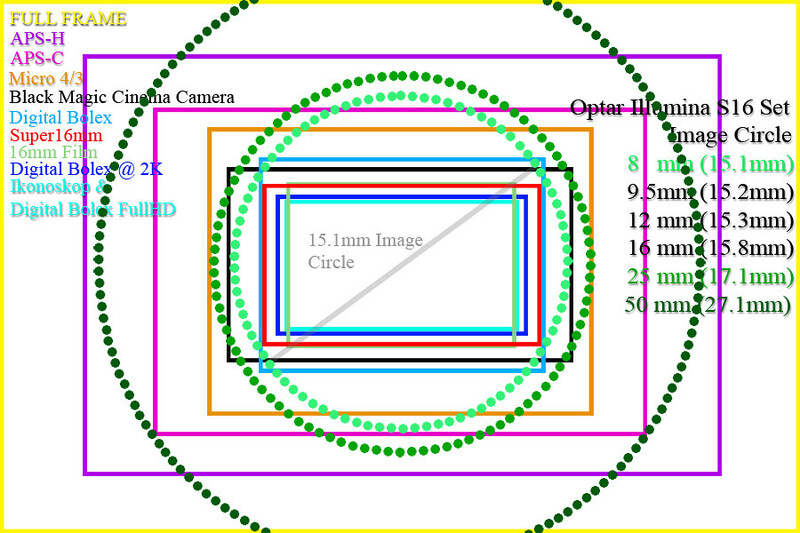 @Vitaliy Do you think there are any chances we could still somehow control the iris on the existing autofocus lenses? Well, that just made my 16 and S16 lens sets a whole lot more valuable again. And I'm sure it frustrates the people that sold off their old 16 primes as they moved to the Canons and Sonys. I wonder just how far down a c-mount will cover full sensor on this MFT mount? About same as a GH2? The biggest advantage is that it will allow for a a non-surgical way to mount true Cinema glass via a PL adapter. And for this to be effectively used as a B cam with Alexa that needed to happen. Kudos BMD you are slowly winning me over. Now just begin offering a RED type "Obsolescence is obsolete" type trade-in/upgrade program, and I will be ordering ASAP. And you'll also distinguish yourselves from the other planned obsolescence companies like Sony, Panasonic, Canon, Apple, HP, etc... Which will win you more loyal customers than you could possibly imagine. Especially considering its not your only product. you should be able to switch your order without penalty (dealer dependent). So, no need to cancel the order. This was just in my mail box. We have also been working on a Passive Micro Four Thirds model of the camera. People have been asking for this as there are a lot of nice high end manually operated MFT lenses on the market, and the MFT mount can also be easily adapted to PL and other lens mounts using third party adapters. The new Blackmagic Cinema Camera MFT is expected to ship in December, and will be the same price as the original model. It’s identical in features as they are both the same camera, just with different lens mounts. The price will also be the same at $2,995. We will be working with our dealers to help people change their orders if they want. Superb news, the BMD with my 25mm Voigtlander and 7mm-14mm lumix lenses would be capable of some fantastic footage. @gib Well, that 7mm-14mm lumix won't do, because this mount is passive. Woke up, checked my email and BAM (!)... email from BMD makes it like Christmas morning as a kid. I still have all my S16mm glass! Whooo hoo! They are listening! @faudel I believe s16 lenses will work over 25mm, although it will be slightly different lens to lens. I didn't realise the projected image circle changes so much with FL. Unless that extra space is used as "look around" space, outside of the taking area of the frame, I suspect there may be vignetting on some S16mm wide angle glass. 12mm Oly won't work either? @Faudel you can easily adapt m43 to c-mount. Plenty of good and cheap adapters exist today. The lack of in-cam correction will anyway only apply to lenses that rely heavily on that - in other words, modern lenses out of which many are likely to have focus by wire / electronically controlled aperture and can´t be used anyway. However, like with m43 s16 lenses will start to vignette at some point. I´d guess you won´t get really wide angle with those either. Since the Blackmagic Cinema Camera was announced we have been overwhelmed by the fantastic response. We have also been extremely happy with the response to the first shipments and have already seen some wonderful work done on them. We started shipping a few weeks ago, however the Cinema Camera is a highly advanced piece of equipment and it uses a large amount of high quality precision parts to build it. Some components are coming into our factory slower than we expected and this has caused the manufacturing of the cameras to slow. We expect to have this sorted out over the next few weeks and then can speed up and get more cameras delivered. In the mean time, our engineering has not been slowed down at all and we are continuing to develop the next software update with new features for release very soon. @itimjim Thanks for the great chart!